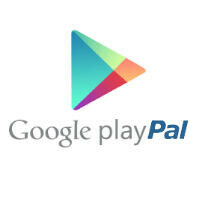 There had been rumors about Google adding PayPal payment support to the Play Store, and today it has become a reality for certain regions, including the US. Even better, Google has expanded carrier payment integration to a number of new countries and also expanded where Google Play gift cards are available. Google Play revenue has been on the rise (app and game sales up 300% in the past year according to Google), and more payment options should help to continue that trend. PayPal integration has been added to the Play Store in 12 countries: Austria, Belgium, Canada, Finland, France, Germany, Ireland, Italy, Netherlands, Spain, the US, and the UK. The integration looks pretty smooth too as all you have to do is select PayPal, and login to your account to pay for content in Google Play. Google has also expanded most of its other payment options. Carrier billing has been added to 7 new countries, which brings the total to 24 countries around the world. Google Play gift cards have expanded and are now available in 13 total countries (all country availability is listed on the support page in the source links). Support for local developers selling apps and games has been added to 13 new countries; and, Google has added 28 new currencies, meaning easier price listing. Why does this not work in the browser?? ?